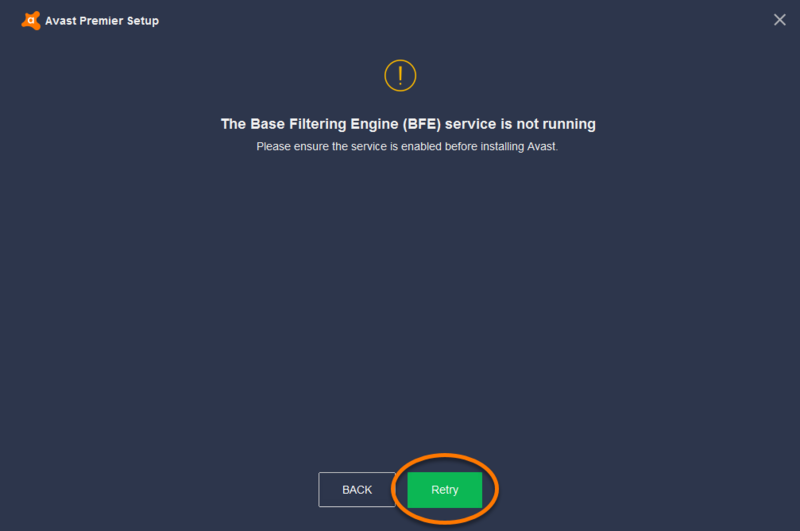 When installing Avast Antivirus, you may receive an error message 'The Base Filtering Engine (BFE) is not running', and Avast Setup wizard is unable to complete the installation until the Windows BFE service is restored and running. The BFE service controls the operation of the Windows Filtering Platform. This service is essential for the operation of many firewall products, including the Firewall embedded in Avast Antivirus. This issue may be a result of active malware which has disabled, terminated, or removed the Windows BFE service to prevent detection. It may also result from changes made to your system files or registry from a PC tune up software. To resolve this problem, you need to restore and start the BFE service. 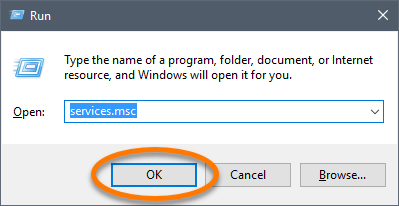 Simultaneously press the Win and R keys on your keyboard to run the Windows Services console, then type services.msc in the field and click OK. The Services console appears. 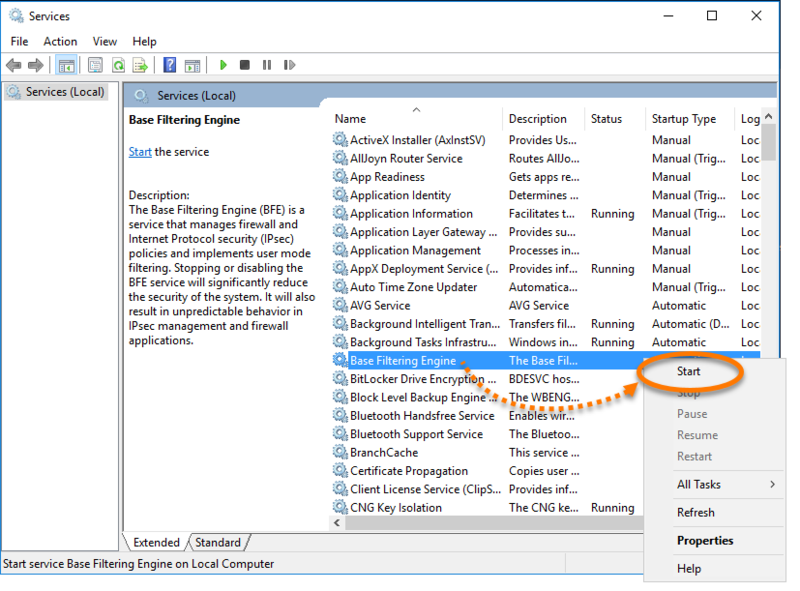 Locate Base Filtering Engine in the Windows Services console, and check the Status column. 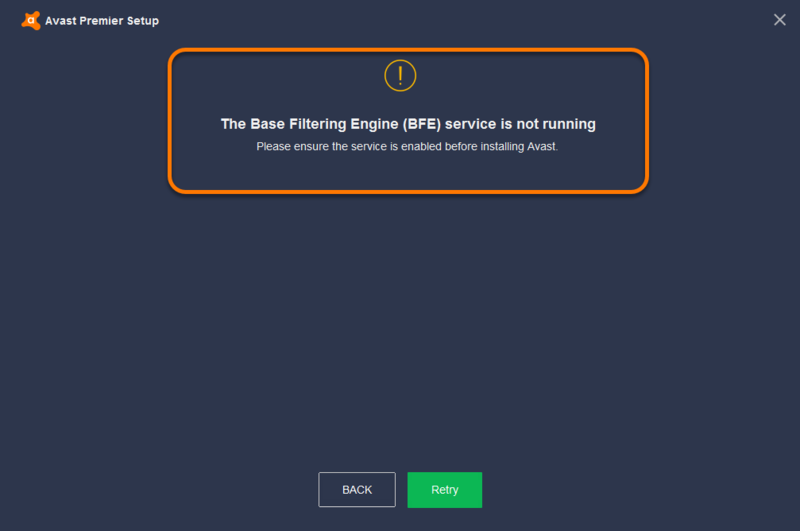 The status needs to display the text Running before you can continue installing Avast. If the status is blank, it means the service is not running.